No, we don’t worship ice cream. We love Jesus much more than we like ice cream. But, any time you get to worship and fellowship with your church family and eat ice cream, it’s a good thing. 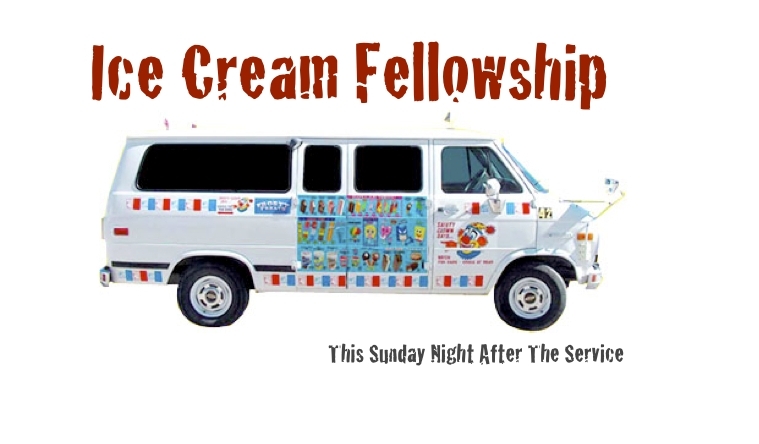 Well, this Sunday evening (August 3), our regularly scheduled 6:00 worship service will be specially geared towards youth and children, followed by our annual back-to-school ice cream social. We pray you’ll join us for worship and ice cream. If you have any questions, please contact us. UPDATE: To see pictures from this event, click HERE.